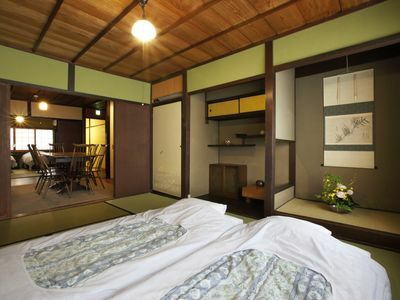 4BR House Vacation Rental in Kutchan-ch?, Hokkaid? The 5 bedroom house with 2 large luxurious en-suite bedrooms on the first floor, on the ground floor 2 luxurious en-suite bedrooms and a beautiful Kyoto style Japanese room which can be used as an extra bedroom or entertainment room.The interior is warm and spacious, featuring high ceilings and large floor to ceiling windows overlooking fields of snow and stunning Mount Yotei. 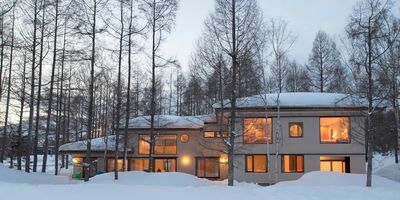 Akari is one of the very few luxury houses in Niseko that has a secluded setting yet is still within a few minutes drive of the Niseko Hirafu ski lifts.